Welcome to Plockton in the North West Highlands of Scotland. The picturesque village sits on a sheltered bay with stunning views overlooking Loch Carron. 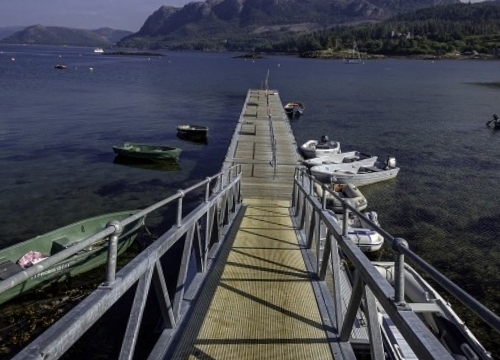 Plockton is a Highland village that really offers everything: breathtaking scenery and landscapes, secluded bays, coral beaches, islands, panoramic views and the possibility of seeing an array of marine life at close quarters. Because of its spectacular setting and traditional Highland atmosphere, Plockton has appeared in numerous film and television productions, the most well known being the BBC’s 'Hamish Macbeth' series. This peaceful Highland community in the Gaelic heartland now draws visitors from all over the world to enjoy its beautiful setting. Everyone can get out on the water: from Calum’s Seal Trips, one of the longest running and most well know boat trips in Scotland; to kayaking, sailing and rowing. A National Trust for Scotland conservation village, Plockton has carefully preserved its heritage, while offering outstanding hospitality. There’s an excellent range of accommodation and the hotels and restaurants are famous for their seafood as well as live traditional music. Eating out there’s something for everyone: from fine dining to fish and chips on the harbour wall. Popular with artists, Plockton is home to an art gallery and studio and there are regular exhibitions at the village hall. The village is also well served by a shop, post office and railway station. And, just a 15-minute drive away, Kyle of Lochalsh has a full range of amenities and services and is the gateway to the Isle of Skye.